Skincare has taken over in a big way as my new beauty obsession. Now that I have solved my dry skin issues I was ready to take on those pesky pimples. When an acne breakout comes on suddenly there is nothing you want more than for it to be gone from your face immediately. 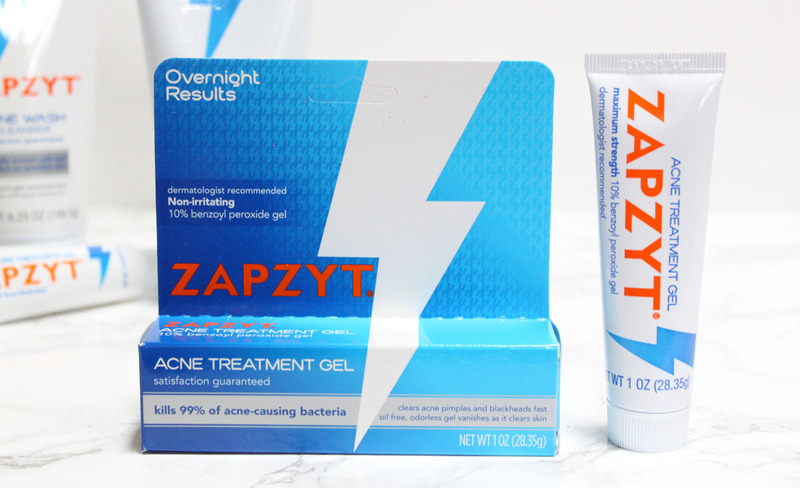 The Mt.Vesuvius that popped up on my chin after a stressful period led me to trying out ZAPZYT Acne Treatment Gel. This is one quick skin fix that you will want to have in your beauty arsenal! Keep Reading for my skincare routine with ZAPZYT! Having a spot treatment is a must have in your skincare routine for treating those problem zits that everyone has. 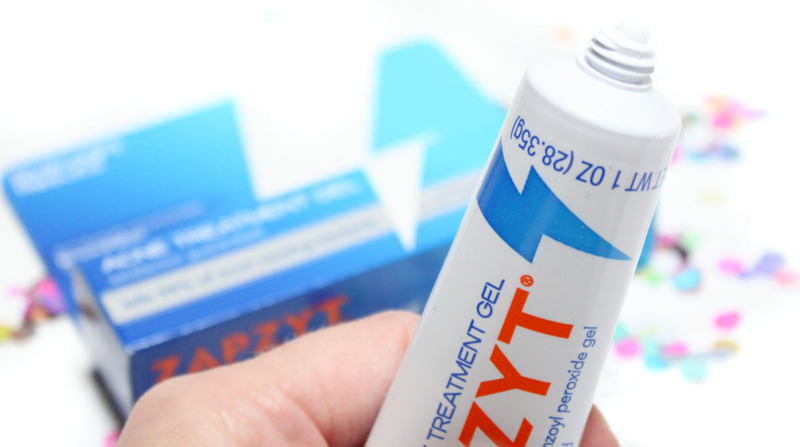 ZAPZYT Acne Treatment Gel is known as the original ZIT ZAPPER! With the maximum strength 10% Benzoyl Peroxide it kills acne causing bacteria. The oil free, odorless gel vanishes as it clears skin and zaps those pimples fast. 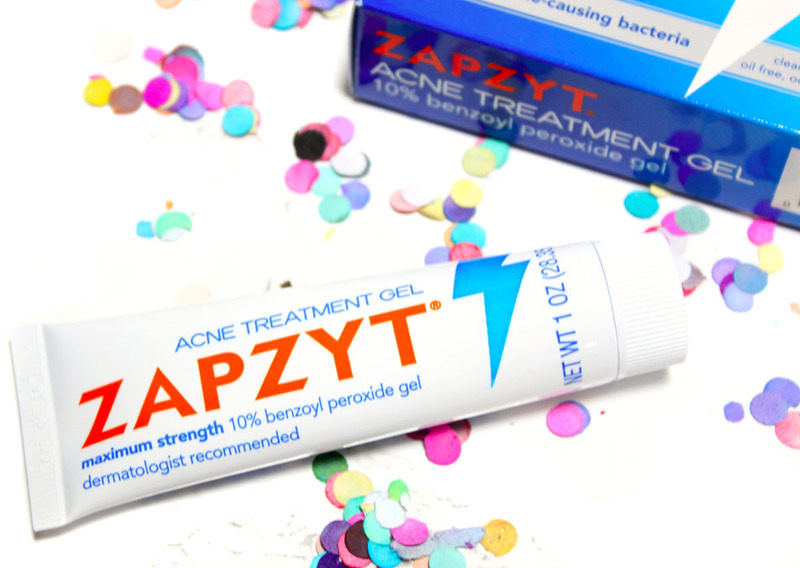 ZAPZYT is the solution for that problem zit! My acne issues are not as frequent as they were in my teen years but my hormonal acne breakouts were like deja vu. The painful cystic acne along my jawline was enough to have me searching for a zit removal regimen to banish those blemishes for good. ZAPZYT Acne Treatment Gel is a lifesaver before a big date or photo op, it's proven to reduce the appearance of acne within 5 hours! Where was this when I was in high school? 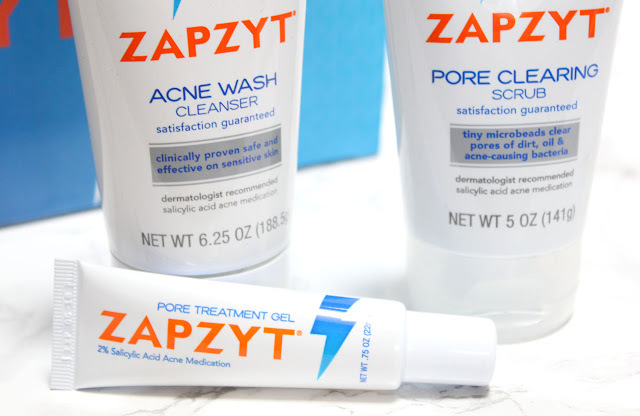 Nothing works faster to rid you of that problem zit. I noticed a difference within a week, my blemishes were shrinking and disappearing much faster than usual. I also didn't experience any irritation, just bye bye blemish. I love that this spot treatment goes on clear so you can wear it during the day under makeup. I dab a pea size amount of gel on to the blemish after my moisturizer and before foundation. It goes on undetectable and dries down in the same way a clear serum would. 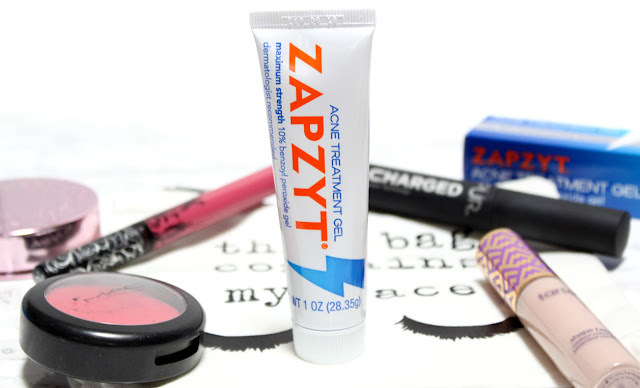 There is no need to change up your beauty regimen either, just include the ZAPZYT when you are battling a problem zit. It's like the concealer of skincare. Along with the spot treatment ZAPZYT has a full line of products designed to give you the clear skin you've always wanted. I recommend starting out slowly when using all of the products together. Working up to daily usage will help prevent any potential dryness. During a breakout I cleansed with the Acne Wash Cleanser every other night. It balances powerful Salicylic Acid with soothing aloe and chamomile. The tiny, natural, wax microbeads in the Pore Clearing Scrub clear pores of dirt, oil & acne-causing bacteria. This natural exfoliator kept my skin smooth and pores squeaky clean. 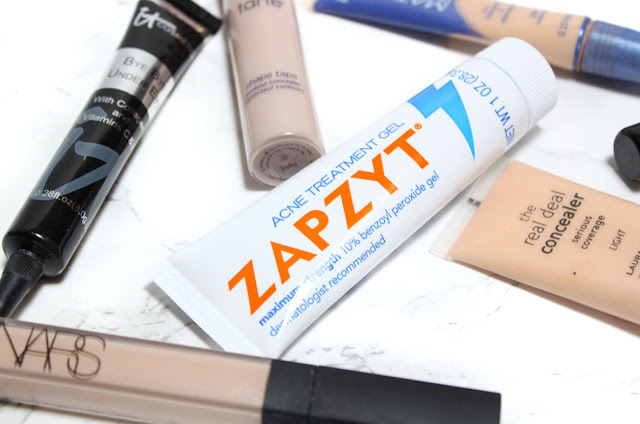 After my pores were open from exfoliating I applied the ZAPZYT Pore Treatment Gel . With 2% Salicylic Acid it cuts through greasy skin to penetrate the pores. Calming aloe and Brazilian Botanicals reduce redness and moisturize the skin. Because acne products can sometimes be drying I always follow up with an oil-free moisturizer. I was very pleased with all of the products! They kept my skin clear with out being too harsh for my sensitive skin. If you are looking for dermatologist recommended products with a satisfaction guarantee ZAPZYT is a REAL solution for REAL people. Best of all, their products are wallet friendly and available online and at Wal-mart. Interested in fast zit removal? You can find ZAPZYT products HERE. 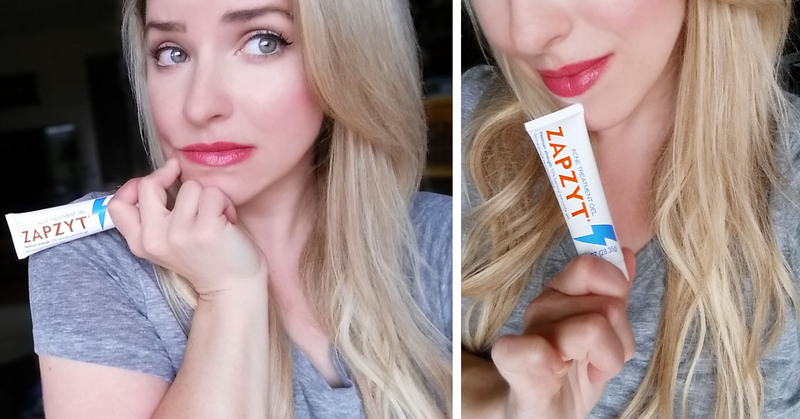 Check out how other Primpers are fighting acne with ZAPZYT! HeyAprill ZAPS Zits dead in their tracks!